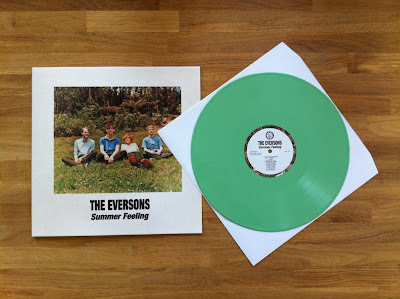 Lil' Chief Records: Eversons Pre-Orders + Who Are The Porch Singers?? We are very excited to announce that The Eversons debut album "Summer Feeling" has just come back from the pressing plant, on green vinyl. The album is due for release on 23 April but because only 300 copies have been pressed you can now start securing your vinyl preorders today. CD and digital presales are also available. The Cool Rainbows album is also available for preorder (CD, Blue Vinyl, Digitally) and is released this month, on 19 March. 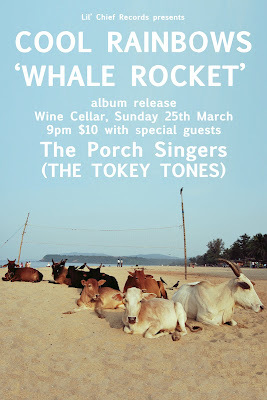 The Porch Singers will be supporting Cool Rainbows at their Auckland album release at the Wine Cellar on the 25 March. And exactly WHO are the Porch Singers? 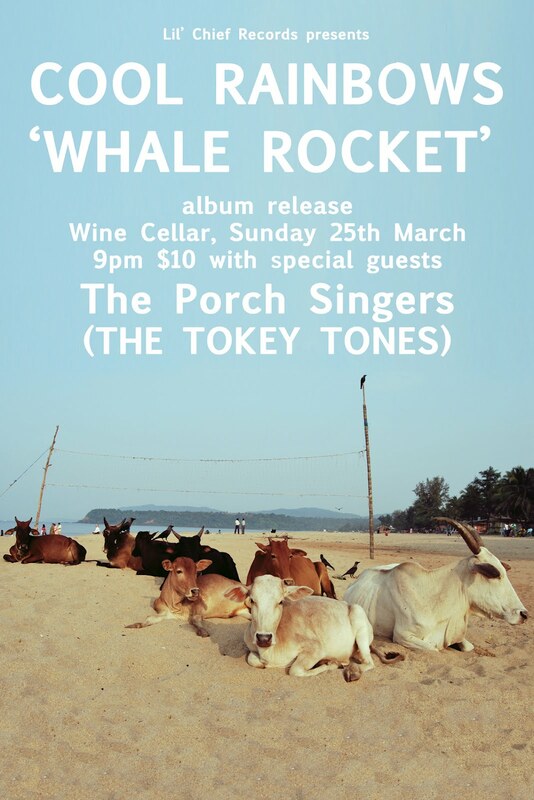 Well apart from the strikingly obvious clue on the gig poster, I can tell you that they are comprised of members from a flagship Lil' Chief band that plays only rare performances, and are certainly not to be missed! If you need more strikingly obvious clues, it's original Tokey Tones members Scott Mannion, Gareth Shute and Nick Buckton, plus a bunch of generation one Lil' Chief dudes like Ryan Mcphun, James Milne, and Jonathan Brunette performing hits from the albums 'Caterpillar' and 'Butterfly' plus unreleased classics like "A Capella Loves The Country" from the sophomoric Tokey Tones release which after nine years we are still hoping is going to be finished one day. They are performing as The Porch Singers, because founding member Li Ming Hu will be overseas and unavailable to play with the band. Truly a band ahead of their time, they were aligning themselves with indie cats in music videos well before it made sense in the marketplace.